Mention the Autobahn and most motorists immediately imagine driving through Germany at unlimited speeds, but there are a few caveats to add to that. For instance, there is other traffic to be aware of, and it’s equally accurate to refer to the Autobahn as it passes through Austria and Switzerland. 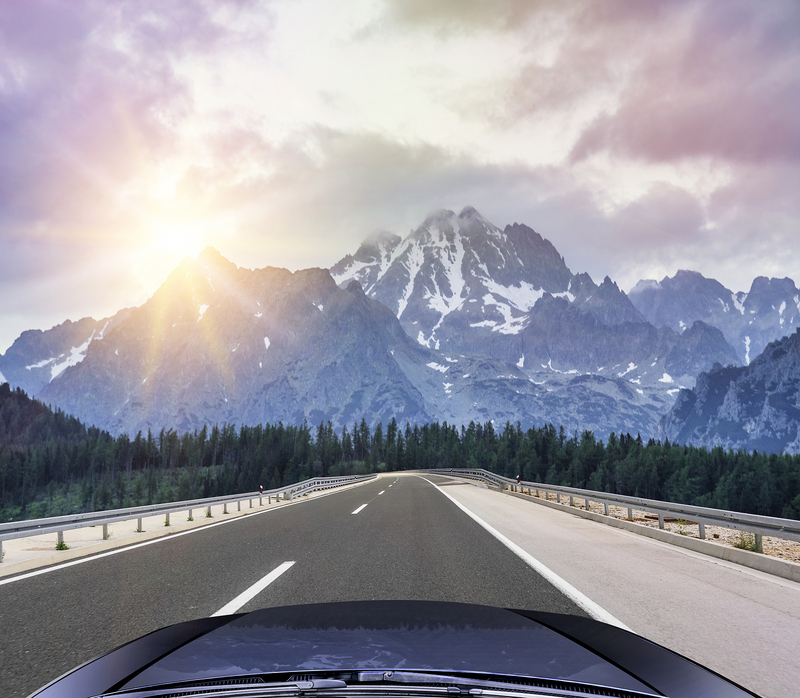 Before you even attempt it, you should familiarise yourself with driving abroad, especially if you’re used to driving on the left-hand side of the roads. Forget yourself at high speed and attempt to overtake in a right-hand lane, and you risk committing a criminal offence! That being said, German drivers do often adopt a more aggressive overall driving style, and this is well suited to faster drivers with better alertness and road awareness, so combined with the higher traffic speeds, it’s the perfect place to really open up the engine on a Ferrari or any supercar. The absolute first rule is to remember to drive on the right and overtake to the left of other cars, unless you’re stuck in traffic, in which case keep to the speed that your particular lane is moving at. But second to this is alertness, and that means checking and double checking before every manoeuvre to make sure a vehicle hasn’t suddenly appeared at 120mph. Much of the traffic will stick to a speed of around 80mph, and even this is faster than the UK motorway speed limit, but on the Autobahn it’s common to see vehicles travelling at least 30mph faster than that – overtaking you as fast as if you were a pedestrian on an urban street. Even more than in the UK, if the lane to your right is empty, you should move into it. Left-hand lanes are purely for overtaking, it’s not a segregated speed limit system like how some people treat British motorways. It’s especially important to recognise that if a car wants to overtake you and there’s space to your right, you should pull over to clear their path – don’t expect people to pull out to overtake you, even if there’s another empty lane to your left. Whatever manoeuvres you make, indicate. For a smaller move like changing lanes, three flashes is standard on German cars, so try to stick to that whether you’re in an Italian supercar or any other non-German vehicle. If you want to go full throttle, check that there’s no local speed limit on the stretch of Autobahn you’re on. It’s not hard to spot the speed limits – as in the UK, legal limits are black in a red circle, but remember they’re in kph and not mph! Look out for electronic signs showing a variable limit, and be more cautious in urban areas or when there’s more traffic around – make sure you get to your destination safely. There ARE speed cameras and mobile detectors, and they may not always be clearly signalled before you reach them, so if you break the speed limit, expect a fine. ← What Makes Ferrari So Popular?